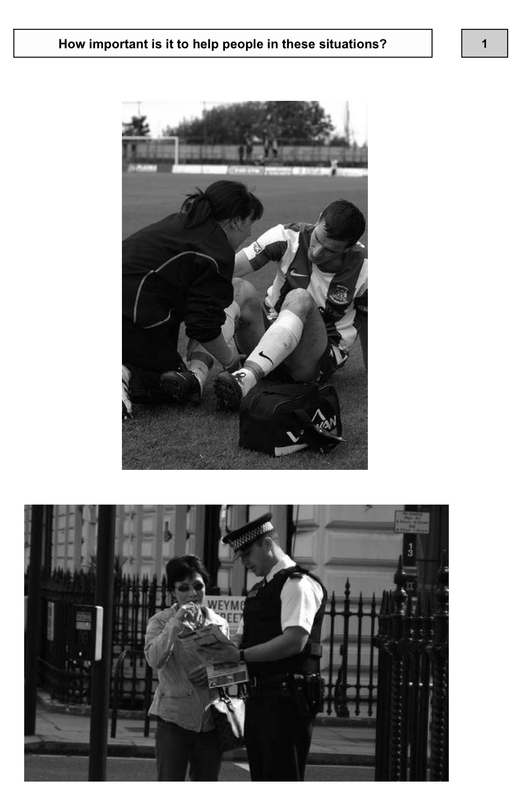 Both of these pictures show people getting some help; the first one shows a football player who seems to be injured and the second one is an Asian tourist getting help from a policeman. Although both situations involve someone helping a person, they are very different. In the first one, the football player needs help because he’s had an injury and, probably, he can’t walk properly. On the other hand, in the second picture, the tourist is probably asking for directions because he might be lost. Also, the footballer is likely to be in pain, while the tourist may only be a little nervous. With regard to the questiojn, from my point of view, the former is more serious than the latter because this football player is likely to pain, but this tourist is just being lost. As for how important it is to help these people, I’d say it’s important in both situations. However, I strongly believe that the footballer needs more help than the tourist, as his situation is obviously more serious.